A school in a tough area which has great teachers and a great curriculum could be rated outstanding from September, even if pupils’ results are mediocre, says Ofsted. It says too many schools game the system by “teaching to the test” or “off-rolling” lower ability pupils. It says that instead of taking exam results and test data at face value, inspectors will look at how those results have been achieved, whether they are the result of broad and rich learning – or gaming and cramming. And this could mean less good news for a school in a leafy suburban area that looks as if it achieves high results “but actually when you look beneath the bonnet they’re doing this by a narrowed curriculum” and “some naff qualifications”, said Sean Harford, Ofsted’s national director for education. “Then actually they are going to get judged down because they should be doing better,” warned Mr Harford. The inspectorate says its own research suggests that some schools are narrowing their curriculum in order to boost results in key exams. Ofsted says the new framework will include a new “quality of education” judgement which assesses both results and the methods schools use to deliver them. Additionally, schools currently rated good by Ofsted, which now only have to have a one-day inspection every four years, will face additional scrutiny, with their inspections extended to two days. Another measure will see inspectors no longer using schools’ internal performance data as inspection evidence which should help reduce teacher workload. There will also be greater focus on pupils’ behaviour, with separate judgements for pupils’ “personal development” and “behaviour and attitudes”. 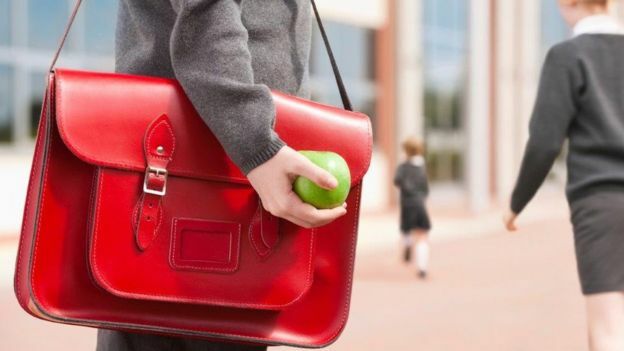 The aim is to keep a check on “low-level disruption in schools” which is of great concern to parents and “the bane of teachers’ lives”, says Ofsted. “Two words sum up my ambition for the framework: substance and integrity,” said chief inspector Amanda Spielman. Education Secretary Damian Hinds said the government backed Ofsted’s plan calling it “a hugely positive step forward for all our schools”. But education unions were sceptical – Dr Mary Bousted, joint general secretary of the National Education Union, said the practices Ofsted deplored in the document, the narrowing of the school curriculum and teaching to the test, “have been the results of its own enforcement, through inspection, of a range of narrow measures to judge school quality”. Dr Bousted said until these measures were abolished, schools would continue to be judged on results. The National Association of Head Teachers said the plan did not do enough to allay teachers’ fears that schools in tough areas were treated unfairly in inspections and would not remove the disincentive for teachers and school leaders to work in the most challenging schools. .
“It doesn’t appear to be the game-changer we hoped it would be,” said NAHT director of policy, James Bowen. “It appears to us that everything that was in the existing framework is still there and new things have been added as well. A consultation on the proposals will run until 4 April.